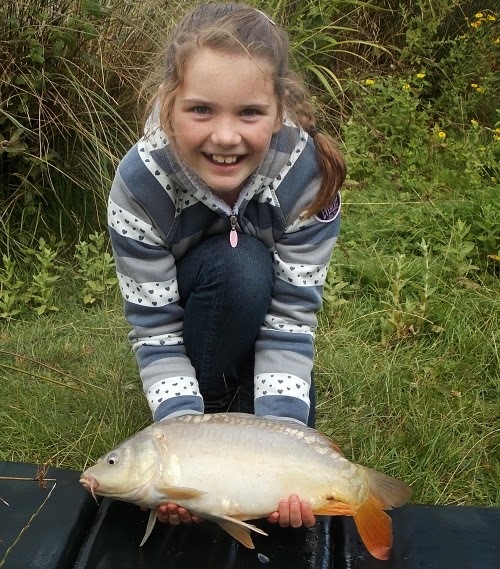 Kate Morgan (10yrs) went fishing with her dad today Glyn of Anglers Den, at Amazon Wood Fishery. Before her dad even got a bait in the water, Kate had managed to land three fish! She went on to catch plenty of Carp, including the biggest fish she has ever caught, a nice Mirror Carp of 6lb - pictured below. Kate only charged her dad £5 for the lesson!